In this paper, the synchronization of a vibrating mechanism driven by two co-rotating motors coupled with a tensile-spring in a non-resonant system is investigated. In order to master the synchronous behavior of the vibrating system, the dynamic model of the two motors coupled with a tensile-spring is firstly established, and the differential equations of the dynamic system are derived by using Lagrange’s equations. Second, a typical approach, called as method of direct separation of motions, is employed to explore the synchronizing characteristic of the vibrating system. Accordingly, the differential equations of motion are transformed into two components: the “fast” component and the “slow” component. Subsequently, the synchronous condition and the synchronous stability of the system are deduced by the first-order linear approximation. 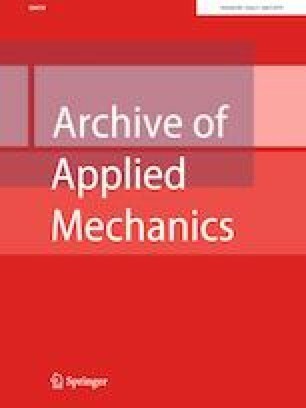 In addition, the key factors of the rigidity coefficient of the springs and positional parameters of two motors are taken into account, and a numerical analysis on the influence of the stable phase difference in synchronous state is presented. Finally, computer simulations are proved to be in good agreement with the theoretical analysis. It is demonstrated that the tensile-spring can make the phase difference between the two rotors close to zero by the selection of a large enough stiffness. This study has been supported by National Natural Science Foundation of China (Grant No. 51705437), Sichuan Science and Technology Program (2018RZ0101).